READY FOR IMMEDIATE MOVE IN! This 4320 S.F. home features 6 BEDROOMS and 5 1/2 BATHS. 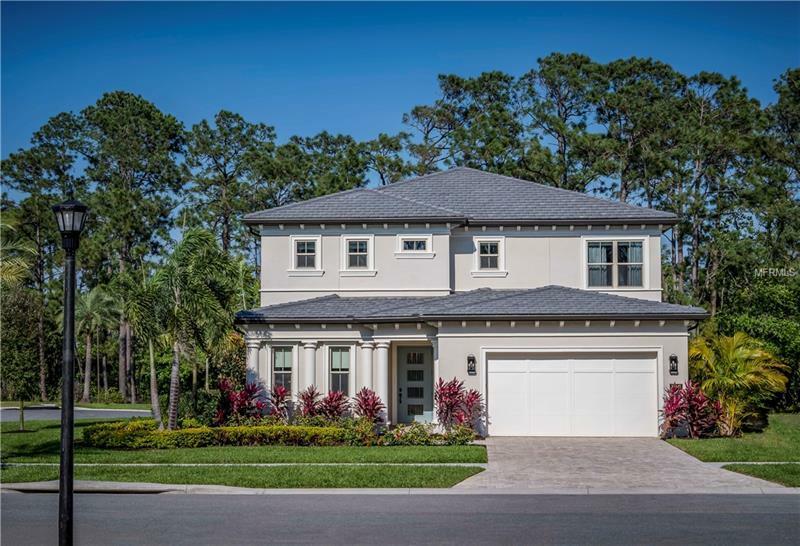 The inviting front entry leads you to the foyer followed by a spacious GREAT ROOM with electric fireplace exquisite CUSTOM CEILING details SLIDING GLASS WINDOW WALL accessing the covered lanai. The gourmet kitchen with QUARTZ countertops and large CENTER ISLAND has many outstanding appointments - NATURAL GAS cooktop 42" STACKED CABINETS WALK-IN PANTRY & dining area. TWO 1st floor bedrooms feature ENSUITE BATHS and WALK-IN closets. Upstairs the MASTER BEDROOM SUITE is enhanced by a CUSTOM CEILING details and features a PELATON BIKE exercise area FRENCH DOORS to the PRIVATE BALCONY & MORNING BAR. The enormous spa-style bath includes DUAL VANITIES SOAKING TUB behind a frameless glass enclosed shower and OVERSIZED WALK-IN CLOSET. The 2nd floor has a large LOFT/GAME ROOM 3 additional bedrooms 2 full baths and a conveniently-located laundry room with 2 washers/dryers. The expanded COVERED LANAI is complete with SUMMER KITCHEN overlooking the POOL & SPA next to the raised deck with GAS FIREPLACE. Many beautiful finishes including designer wood staircase with GLASS TILE RISERS IRON RAILING ART NICHES designer baths lighting & ceiling fans. Our GATED RESORT-STYLE COMMUNITY backs to Golden Oak with our CLUBHOUSE and BOAT RAMP located on the shore of SOUTH LAKE! The exterior LANDSCAPE MAINTENANCE is INCLUDED in your HOA dues!